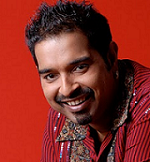 Welcome to the Shankar Mahadevan Academy, I am truly excited about our association with Chembur Gymkhana! For more information call 080-41125543. 16th Road, Chembur, Mumbai 400 071, India. This course is aimed towards students who want to sing along.. This course covers the basic elements of song composition. I.. Duration: 2 Weeks. Classes every Mon-Friday.